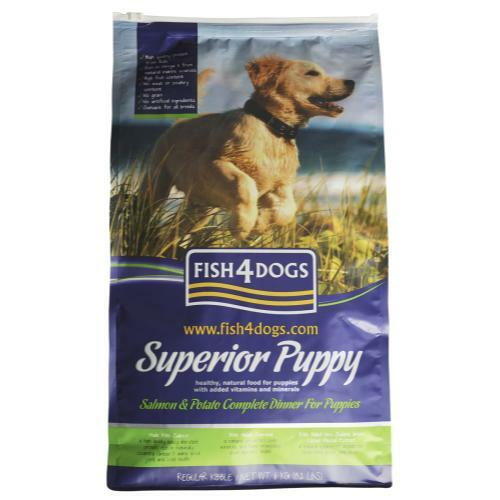 Fish4dogs Salmon & Potato Superior Complete Regular Bite Puppy Food 12kg is a grain free dog food with high levels of Omega 3 from fish. This salmon, potato and pea food is a complete dinner for puppies, with 30% protein to support your puppies growth and development. Fish4Dogs Superior complete puppy food's main source of protein is from fish giving this food high levels of natural Omega 3. Omega 3 is important for healthy skin and coat, the development of joints, aiding nerve formation and supporting brain development.